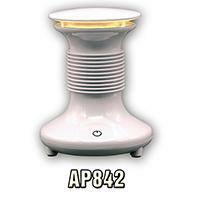 The Air Ioniser emits electrically charged particles called negative ions - a natural ingredient of fresh air. 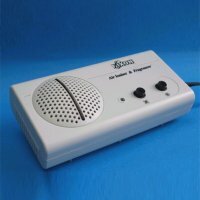 These will replace the negative ions which are normally present in our homes but which are destroyed by static charges from electrical products and synthetic clothing and furnishings. 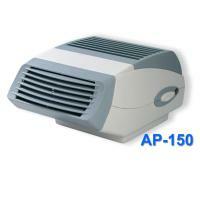 The ions will also remove pollutants such as smoke, dust, pollen and bacterial, leaving the air feeling fresh and clean. Soft ion emitter for safer and more efficient than needle emitters and with built-in Ion Check indicator showing ions are being emitted. 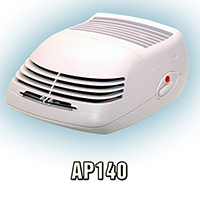 Air Purifier - Model AP-140, with a combination of 3- Stage Electrostatic Filter and Patented Carbon Filament, effectively clean the air in minutes. Built in Frangrance Dispenser with pleasant smell immediately freshens the air. 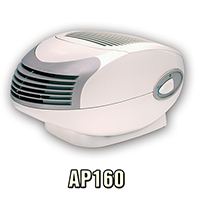 Air Purifier - Model AP-150, with a combination of - HEPA - CARBON Filtering System and Patented Carbon Filament, effectively clean the air within minutes. Built in Frangrance Dispenser with pleasant smell immediately freshens the air. 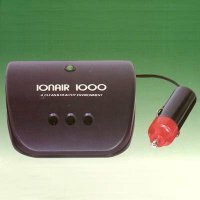 Ionair 1000 generates negative ions to remove tobacco smokes and pollutant particales and is ideal for car use. 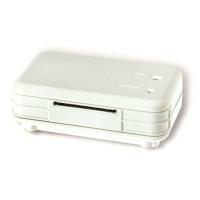 Packing: Each piece in gift box; 50pcs./ inner carton; 100pcs./export carton. Meas: 52x48x30cm (0.075CBM). GW: 17KG. 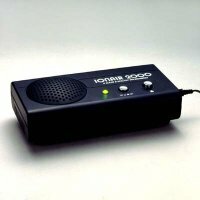 Ionair 2000 generates negative ions to remove tobacco smokes and pollutant particales.It is also equipped with ventilating fan and charcoal filter for more effective performance. Ideal for home, office, etc. Meas: 41x35x48cm (0.07CBM). GW: 15KG.